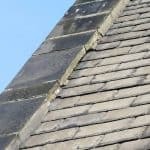 Guttering can cause huge issues to properties all over the Yorkshire region, especially in the wet and windy weather like we have had in the last few days. Blocked gutters, caused by leaves or twigs, prevent water draining away properly and can create pool of water that will damage your roof. 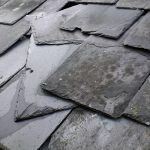 This can lead to damp patches forming and on flat roofs especially, puddles of water causing excess weight on the felt. One way to stop this is to get up and clear out your gutters of any debris, but should this not be a viable option, our professional team of roofers are on hand to carry out the work for you. During high winds and rain, guttering can also take a battering and might become dislodged from the wall or even bend preventing water from running away. In this situation, professional expertise is need as the guttering will need to be replaced and then re-angled to make sure the water runs towards the direction of the downpipe. Should your guttering just have lots of water collecting but no obvious debris, a problem may lie in you downpipe. If possible, get a hose or water jet nozzle and feed it up the downpipe, trying to blast apart any of the debris. You will know if this has worked as the water from the gutters will flow down the downpipe and into the drain. 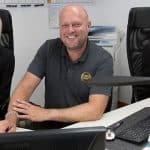 Should there be a major issue resulting in damage to the roof or your property, please do not hastate as it will only get worse during the winter months. Please contact one of our team on 0113 335 0043.